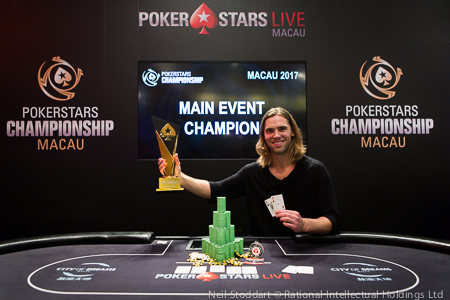 The first ever PokerStars Championship Main Event in Macau concluded on Sunday evening after one of the longest heads-up matches in history! Now, the final day started with 6 players and it only took two hours before the field had been narrowed down to the final two contenders: Elliot Smith (Canada) and Tianyuan Tang (China). Posted on Wednesday, October 30, 2013 by "T". The final table of the 2013 bwin World Poker Tour Grand Prix de Paris is set after 4 days of intensive play! Unfortunately big names such as Kara Scott, Matt Salsberg and Marvin Rettenmaier fell during the fourth day. On the other hand, Christina Lindley (one of few ladies to enter the tournament) and familiar faces such as Elliot Smith (Canada) and Kimmo Kurko (Finland) are amongst the final 6 players. Another day is in the books at World Poker Tour Grand Prix de Paris and we still haven't reached the money bubble as 24 players still remain. 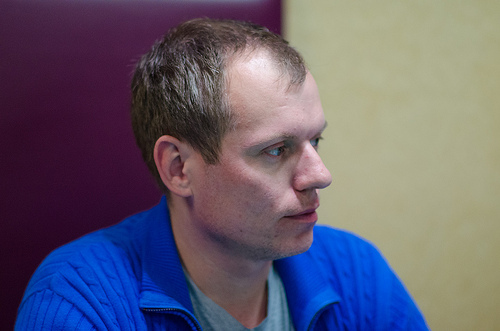 Day 2 chip leader Matt Salsberg still has the chance of back-to-back titles, but he will to fight really hard during Day 4 with his stack of 218,500 to catch up with chip leader Vasily Firsau (756,000) from Belarus and his closest competitors Peter Apostolou (548,000) and Jean-Norel Thorel (458,000). Salsberg will be joined at the tables today by a few familiar faces including Elliot Smith, Marvin Rettenmaier, Kara Scott and Jason Koon. The money bubble will burst when 21 players remain. A minimum cash is worth $20,250 and $469,477 will be awarded to the winner. Posted on Tuesday, January 27, 2009 by "T". Stewart Scott became the first ever Australian to take home the title in Aussie Millions Main Event.For the win he received AUD 2,000,000, around USD 1,300,000. Unfortunately none of the girls that were in the lead of day 2 made it to the final table.